Looks like the radicals took the advice of ‘aunty Maxine’. They’re even making specific and credible threats toward elected officials. “So it was a defining moment in this country and I think a defining moment in the way that black people resisted,” she continued. “What I tried to do was take it out of the discussion of ‘these are just no good, crazy rioting people’ and to talk about what I call an insurrection, which made a lot of white people mad,” she recalled. In one famous incident of “insurrection” broadcast across the county, four men dragged truck driver Reginald Denny out of his cab and beat him within an inch of his life. Did you catch that? Resistance and violence can mean the same thing. When she’s not screaming ‘impeach 45’ she’s bragging about being in the Resistance. And then came something just as incredible… the claim that right-wing news organizations need to pay for the use of their ‘fair use’ video. Yo, Numbnuts over at Smash Racism DC, Twitter and Facebook keep saying they’re not publishers… so your videos are not under copyright. And if you did want to monetize them and/or make it difficult for people to grab them off of Twitter, there are ways to do that. 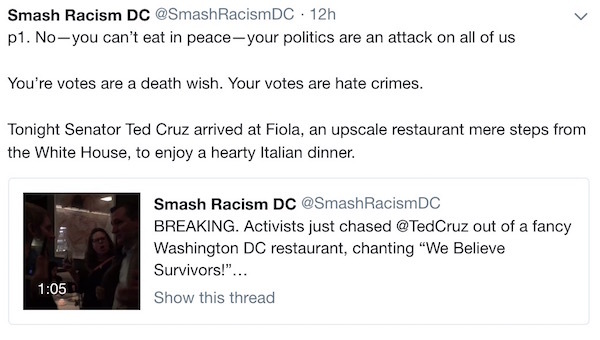 Smash Racism D.C. posted a long and threatening Twitter thread. The exerpts above are from it, if you want to go looking for it, just look for the right time stamp on that twitter account, supposing the account hasn’t been shut down for violations by then. Then again, leftist pro-violent groups seem to get a lot of latitude. (FYI — the thread was posted on September 24, 2018). It’s stupidity like this tht is making even the never-Trumpers think twice about sitting this one out. Keep showing the world who you REALLY are, guys. We don’t want you silenced. Quite the opposite. 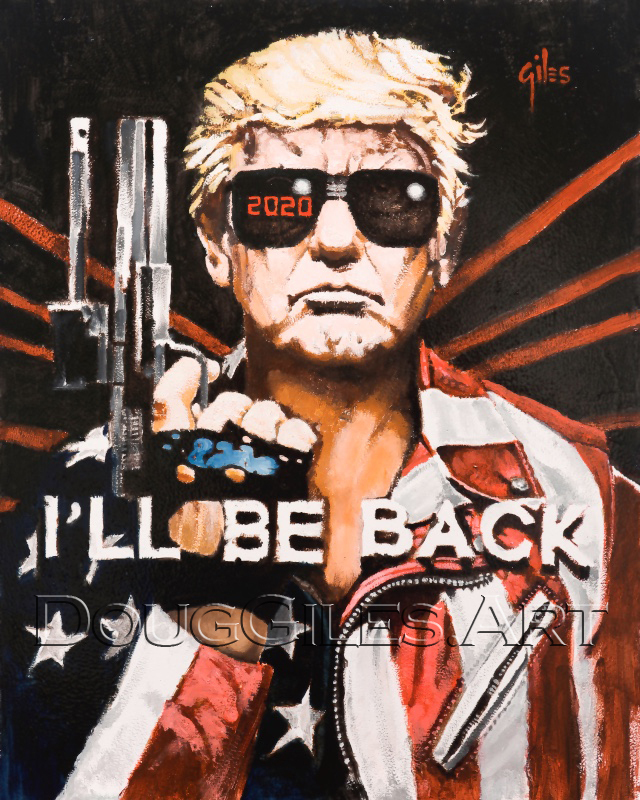 We want you to become the face of the Resistance. We want people to think of YOU when they hear ‘Impeach 45’. That bitter, hateful, violent and myopic view of America is still a minority voice.